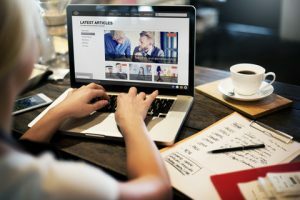 What businesses are your websites designed for? We love accountants! Our packages are designed for professional accountants in public accounting. This includes CPA firms, solo CPAs, bookkeepers, EAs, tax preparers, and accounting software consultants such as QuickBooks and Xero advisors. If you have another type of business, we certainly welcome your inquiry. How much of “my time” is required to get my website up? Very little. All we need to get started is three pieces of information: your domain name, your theme number, and your logo, if any. We save you time by going online to “scrape” your custom information from your old site, social media accounts, and vendor profiles, then simply verify it with you. If you don’t have a logo, we’ll design a text logo for you at no extra charge. If you’ve ordered Platinum, we start on the videos first and will need to know whether you want a male or female voice as well as your gmail credentials. We keep all of this very simple for you so you can get back to running your business. 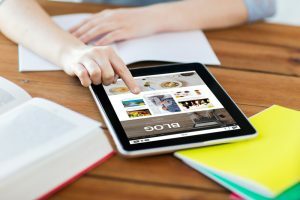 How long does it take to get my website live on the Internet? We can have your professional website up and running in 2-3 days once we have the information we need to get started. The turnaround time is mostly up to you and how fast you get back to us on approvals, passwords, and information. My site is with another provider and I want to switch. How does that work? We frequently transition sites from our competitors and other webmasters. We can make the transition as smooth as possible for you and will talk you through what we need. In most cases, you don’t even have to talk with your old webmaster until you’re ready to cancel your old account. Can I move my old site “as is” to you? Generally, we prefer to redesign your site into one of our themes. We can definitely use elements of your old site to design your new one so that your new site will look similar but not identical to your old site. We do this about 10-20 percent of the time, so we are quite used to it. If you need an exact replica of your site, the answer is probably no. The reason is our templates are totally loaded with SEO elements that we’ve perfected over years of research as well as the perfect copy, graphics, and layout that attracts clients. In your case, all you need is a hosting account, and we don’t provide hosting only. When can I cancel my old website? After we have transferred your domain to our servers so that your new site is “live,” you can safely cancel your old account after three days. It takes three days worldwide to fully complete a domain change. Be sure you cancel your hosting only and not your domain or your email. What’s included in your website packages? Our packages include the hosting, software, theme, design, graphics, writing, content management system (we use WordPress), plugins, and initial search engine optimization. Installation and customization is included, and there is no setup fee. We have up to 134 features depending on the package you choose. See our chart here. For Pros and Platinum subscribers, we also strongly encourage a periodic status session two to four times a year so we can stay informed about the type of client the site is attracting, what you need most, and so we can answer any questions you might have about content or site performance. You can get on Sandi’s calendar any time at no extra cost. There are only two things that are not included with our sites that you will need to invest in if you haven’t already: email and your domain registration. We’ve found that most people have separate email providers (Outlook, Office 365, G-Suite, GoDaddy, etc. ), and we recommend that. Your domain should always be in your own name, not a webmaster’s. It costs roughly $15 per domain per year for registration. If you don’t have one, we can suggest domain names at no additional cost. Yes. We give you the WordPress and cpanel passwords to your new site once we go “live” with your site. Do I need to purchase a design or hire a copywriter? Nope. All that is included in our packages. Once I sign up, what happens next? We initially need three things from you: the domain name, your logo, and the theme number you chose. From there we can create a temp site on our server for you to approve. We “scrape” your custom information from your old site, social media accounts, and vendor profiles so that we don’t have to take up a lot of your time. To go live, we’ll need your domain account user ID and password. And when we write your bio, we will send you a short list of questions so we can bring the best out in you. I don’t have a domain. Help! Once you’ve purchased one of our packages, we can help you register a domain name. We can also suggest domain names at no additional cost. We recommend Namecheap or GoDaddy for domain registration. I don’t have a logo. Help! No worries. We include a text logo in all packages. If you prefer a graphic logo, we can design it for $150. What if I want to change the colors or photos? Your website colors have been selected based on your logo colors. Let us know if you want to change them. We’re happy to make a few photo or graphic changes, and you are always welcome to supply your own photos. You will be responsible for the copyright of those photos. I’ve selected a theme, but I don’t love some of the pictures. No problem! We typically offer to change the pictures to reflect the demographics of your current clients for best results. I have a niche. Can you accommodate that? Yes. 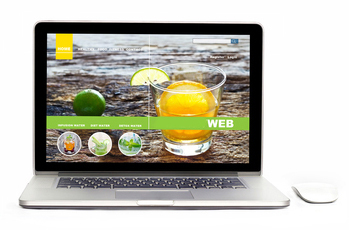 We’ll modify your home page slider graphics to reflect your niche. For example, if you’re after construction firms, we’ll show a photo of a construction worker on the home page. Quite a few of our clients don’t offer tax services. We simply delete the tax service pages, and remove any tax references from your site. I’m not a CPA, and I’m in Texas where the word “accounting” is not allowed on my site. No problem, we will replace the word “accounting” with “bookkeeping,” and this makes the state board police happy. What if I want to talk with someone? For Pros, Platinums, and long-term subscribers, we strongly encourage a periodic status session one to four times a year so we can stay informed about the type of client the site is attracting, what you need most, and so we can answer any questions you might have about content or site performance. You can get on Sandi’s calendar any time at no extra cost. Why should I choose Accelerator Websites over another webmaster? We know the accounting industry better than a webmaster that doesn’t specialize. This helps us choose better graphics, content, and keywords so that you can attract clients that need your services. If you’re choosing between us and another accounting website provider, our differences are many: SEO (search engine optimization) is our prime focus, our graphics and videos are more sophisticated, our marketing technology is more advanced, and our writing is award-winning. Will my new site rank high in the search engines? 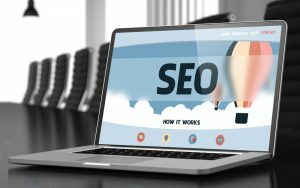 There are hundreds of internal and external factors involved in Google’s search algorithm, and no one knows the exact formula for ranking. Some of the factors we can’t control at all include the size of your city or town, industry saturation/competition, and the age of your domain. Your site is fully search-engine optimized for internal site factors. We monitor Platinum and Pro sites every 60 days and are constantly implementing internal site changes based on new information in the search world, conversations we have with you on the type of client you want, and the time of year (tax season, year end, etc.) We are reliant on you to implement external factors; one example is social media. Our blog outlines these external factors in detail. As of this writing, all Platinum sites are ranking on page one of Google for at least one search phrase. We are happy to share our monitoring results with you at any time. What if I just want you to search-optimize my current site? We don’t offer that anymore. 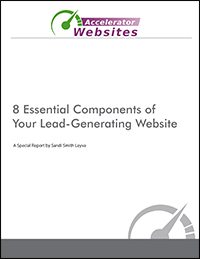 It is more cost-effective to purchase our SEO-loaded packages than it is for Sandi’s team to take the time to manually optimize your current site. At this time, we prefer to work with clients who want to turn over the whole enchilada so we can have more control over your success. For our websites, we have four monthly plans available ranging from $39 to $129. Click here to compare our plans. If you’d like to add a client newsletter and/or social media services, we have three-in-one digital marketing packages ranging from $263 to $503 per month. None. Zilch. Zero. Nada. Ho hidden fees either. We take MasterCard, Visa, American Express, and Discover credit cards. Can I pay by check or PayPal? We take checks and PayPal for annual payments only. Please ask us about this option. Which plan – Starter, Premium, Pro, Platinum, Diamond – is right for me? Select Diamond if you want a strong web presence, want us to make web updates, want a blog, want to rank on the first page in search results, want videos, and want extra features. Select Platinum if you want a strong web presence, want us to make web updates, want a blog, want to rank on the first page in search results, and want extra features. Select Pro if you want a strong web presence, want us to make web updates, want a blog, and want to rank high in search results. Select Premium if you want a solid web presence, want us to make web updates, don’t want a blog, and don’t need to rank high in search results. Select Starter if you want a solid web presence, don’t need updates, don’t want a blog, and don’t need to rank high in search results. You can go up or down at any time. For Diamond downgrades, the videos will be removed. See our comparison chart of all our features. Will my website look like everyone else’s? Your website will be customized to include your logo, logo colors, certifications if any, bio, contact page with your contact info, photo, testimonials, and membership logos. All of these items will make your site one of a kind. You will also be able to edit your own site, so you can add, change, and delete pages, posts, photos, and videos if you wish. You can send us updates and we will make them (all packages except Starter). We can let you know how many clients we have in your local area and what themes they are using if you are extra concerned about this. The alternative is to purchase a custom site; please ask us about this if you are interested. There is no contract. You can cancel any time. Yes. If your site is not yet live, we have a 30-day money-back guarantee, no questions asked. We do remove any videos uploaded in the case of Platinum refunds. If your site is live, or it has been 30 days from your initial purchase, you can cancel any time and we will immediately stop your monthly payments. If you pay annually or quarterly in advance, we will prorate the unused portion when computing your refund. What if I want to do nothing or wait? Think about how much business you are losing while not having an online presence, an up-to-date site, or a site that is not ranking in the search engines. Multiply that by the number of months, and you will have computed your lost opportunity cost. The cost of doing nothing Is always more than you think. I’m not ready now, but I’d like to stay in touch. Signing up for either of these items will put you on our mailing list. I am still unsure or have more questions. Can I tell you my situation? You can email us too: support@sandismith.com. If you can’t find any dates that work with your schedule, email us and we’ll find a way to make it work.